Can you imagine how difficult your life as a parent would be without strollers? If these things weren’t invented, taking your kids outside would be a challenge if not impossible. As your little one grows bigger and heavier, you will come to appreciate the convenience that comes with strollers more. That said, your child’s stroller will go through a lot as would the car seat. After all, you’ll need it almost all the time that you’re outdoors with your bundle of joy. No matter how cute babies are, they will inevitably create mess — lots of them. From leaky diapers, spilled milk, cookie crumbs, to everything else in between; it’s only a matter of time before the stroller becomes gross, grimy, and sticky. And as a parent, it’s your job to clean it, not only to keep it looking fresh but also to prevent germs and bacteria from building up. Luckily, it’s not so hard a task to deal with a dirty stroller. One part of cleaning it is to have the right tools. The other is knowing everything about the stroller since not all of them are created equal. So without further adieu, here’s a step-by-step guide to cleaning strollers. As mentioned earlier, not all strollers are created the same. Strollers will differ from one another in terms of colors, looks, features, etc. However, there is one thing that even the best stroller brands will go through one way or another — dirt and stains. So before you decide to give cleaning a go, it’s a must that you check the manual that came with the stroller. It will give you information as to which parts can be removed and how to properly do it. It is highly recommended that you go with what the manual says to avoid damaging the stroller which can potentially void its warranty. Note that these materials can be used to clean strollers in general. However, manufacturers may recommend something else to be used for cleaning. This is the reason why checking the manual is listed as the first step to clean a stroller. Not all strollers will have the same attachments or features to them, but usually, parts such as storage trays, cup holders, and even fabric seats are removable (sometimes). The manual should have instructions on how to remove these parts correctly. But admittedly, some manufacturers have instructions that are quite a challenge to read and understand. If you face this obstacle, search the internet if there are any instructional that can guide you. It’s also worth taking pictures of the stroller before, during, and after you remove the parts. Doing so will be extremely helpful in case you forgot which part goes into which slot. Cleaning the car seat (not all strollers will have this) may be different from cleaning the stroller so keep that in mind. Start cleaning the stroller by using your hand or dust brush to wipe away larger pieces of food crumbles. Use the vacuum (a handheld model is more advisable) for hard to reach areas like crevices. Run the vacuum multiple times and pay more attention to the part where the back of the stroller meets the bottom of the seat. This is because it’s very likely that this area has accumulated unidentified dirt over time. Additionally, you’d like to reach and clean further into these crevices. You can do this by using the toothbrush dipped in lukewarm water with a mild dish or laundry soap. Brush the area until you’re sure that all the tough stains have been removed. Again, this is where the instructions manual will come handy. Check which parts can be put in a washing machine or dishwasher. For the other parts, cleaning them by hand in the sink is a good route to take. Most strollers have fabric seats that aren’t removable. If yours came with one that’s removable, cleaning it should be a lot easier. If not, use a terry-cloth towel soaked in lukewarm water and mild soap solution to scrub it, starting from the top of the stroller. Note: only use soap that’s recommended by the manufacturer. 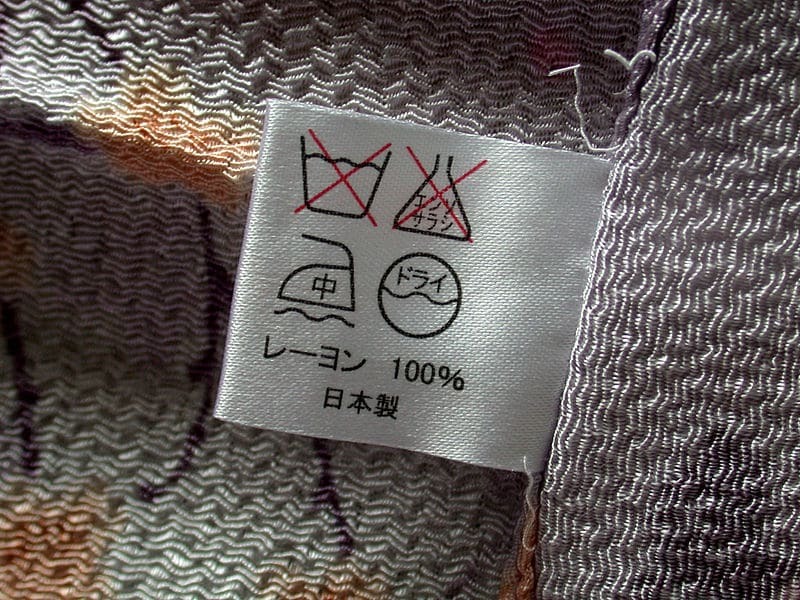 In most cases, the fabric seat will have a tag on it with cleaning instructions. In the unlikely event that the fabric seat has no tag under it or there is no specific instruction in the manual, you’ll never go wrong with using a mild soap. For the metal parts of the stroller, you can use an all-purpose spray cleaner and cloth. You do this wiping the metal parts with a cloth that has been sprayed with the solution. You may need some elbow grease for tough to remove stains. It’s also critical to dry the metal parts thoroughly to prevent rust. Whether your child’s stroller has wheels made of plastic or rubber, it’s very important that you clean them as well. After all, these are the dirtiest parts of the stroller as they come in contact with the ground. A couple of baby wipes should do the trick in cleaning the wheels and rims. Additionally, you may want to lubricate them especially if you notice that the swiveling wheels are not moving as smoothly as they used to. If the stroller has air tires, pump them up with air to maintain the stroller’s performance. If the weather permits it, take the washed and wiped parts including the stroller itself outside and let them dry under the sun. Failure to completely dry out the stroller and its parts may lead to dampness which can result in mold buildup. Finally, it’s time to put the removable parts back into the stroller. As an additional measure, you can also apply disinfectant spray to the stroller which can be bought easily from a store. This should give the stroller and more importantly, your child, added protection from germs and bacteria. Clean up the mess almost immediately after it’s made to make it easier for you to deal with dirt and stains. Food crumbles and wet messes like spilled milk, chocolate, or ice cream should be wiped off right away. Taking too long to clean up will only make the stains tougher to remove and will require more time and effort. The seat fabric should be cleaned at least once a week. How often you should clean the stroller itself and its parts depends on you and how messy your little one can be. Keep the stroller in a dry closet instead of storing it in a damp garage. Do the latter, and the metal frames will get rusty and the fabric moldy. When shopping for strollers, go for the ones with fewer crevices for easier cleaning. You can also consider getting a stroller with a darker shade to hide the stains longer. But of course, getting rid of the stains instead of hiding them is most important.